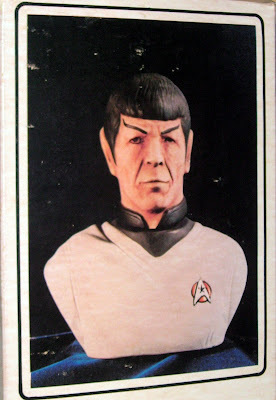 To celebrate the release of Star Trek: The Motion Picture on December 7, 1979, the Grenadier Spirits Company unveiled this fascinating and unusual franchise collectible, a "beautifully handcrafted ceramic bust" of the half-Vulcan science officer played by Leonard Nimoy. 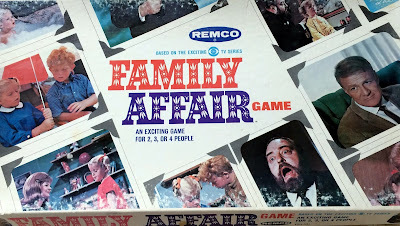 According to the literature on the packaging, this Grenadier Original "has captured in each handpainted figurine the uncanny likeness of our favorite Vulcan using only the finest quality porcelain." And if that's not enough, each Mr. Spock decanter is filled with "Cielo" Liqueur(!) 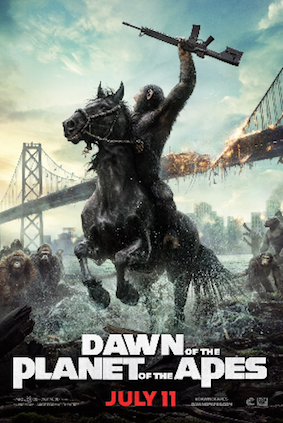 and, according to the back of the box "will be an eye-catching addition for every fan's showcase." The Cielo is 48 proof, in case you were interested, and there's 750 ml. What, no Romulan Ale? Or Tranya? "Since its creation, Star Trek has spawned millions of fans and hundreds of fan clubs, publications and conventions," it says in part. Then there's some info on Nimoy, noting he was nominated for three successive Emmys for his portrayal of this beloved character. 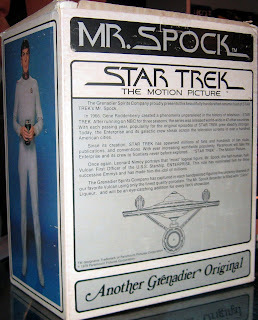 I picked up one of these Grenadier Spock decanters mint-in-box back at a huge antiques show in Maryland back in 1990, and was pleased to find it. 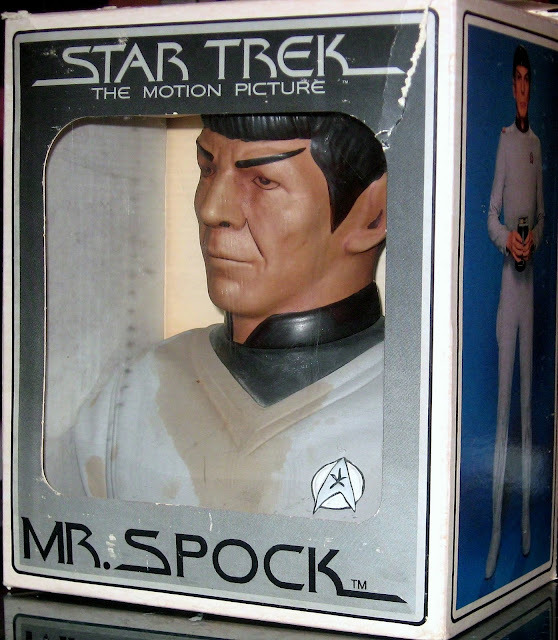 I always enjoy some of the weirder Star Trek items (for instance, the Star Trek V: The Final Frontier marshmallow dispenser...), though I'm sure Mr. Spock would raise an eyebrow at an alcohol decanter molded in his image. That this item is from Star Trek: The Motion Picture and features the science-officer in a uniform he was only seen in once also makes it a pretty cool example of series memorabilia.